Born Alex Nana Kweku Somoah Ntiamoah-Boakye, Alex is a Boxing Promoter by profession and the Chief Executive Officer of Box Office Sports Promotions, an Accra based sports promotional company which focuses on boxing promotion. 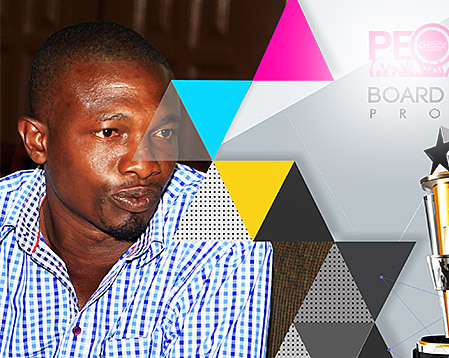 Though being the nation’s youngest boxing promoter, he has managed to promote several key boxing bouts in Ghana. He partnered with the continents leading sports broadcasting network, SuperSport Africa to stage the biggest boxing bout of the decade, the famous “Judgment Night Bout” between heavyweight boxers Brimah Kamoko alias Bukom Banku and Ayitey Powers at the Accra Sports Stadium which witnessed over 40,000 attendants. Alex also serves as the Executive Director of the Centre for Dynamic Youth Leadership (CENDYLE)‎, a community based organization which focuses on youth oriented social intervention projects, including education, sports as well as employable and leadership skills for young people in deprived urban areas. He is married with three children.